Yahya Hawwa steps onto the stage and faces the audience. The famous Syrian singer isn’t usually before this kind of crowd: a room full of excited young children eager to hear which revolutionary anthem he’ll perform first. Hawwa doesn’t mind though. In fact, the smiles on the children’s faces give him enough inspiration to sing all night. 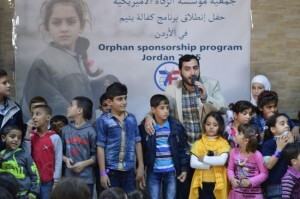 The celebration was in honor of the newest Zakat Foundation of America (ZF) orphan sponsorship program (OSP) being launched in Jordan. In addition to live entertainment, the children also enjoyed comedic acts and games. The OSP launch was followed by a winter kit distribution. 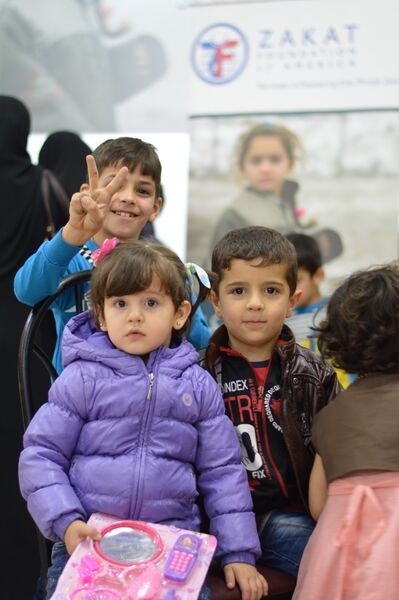 Over 400 children received winter kits that included coats, hats, scarves, shoes, and gloves. ZF’s OSP is active across the world, supporting over 900 children in places such as Gaza, Bosnia, and Ghana. By the grace of Allah (swt), plans to expand OSP to Pakistan in the coming months are currently underway. For more information about OSP and how to contribute, please visit http://bit.ly/1IYIhf6.